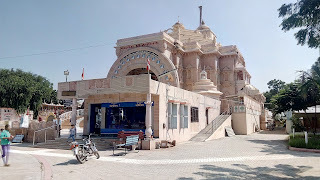 Here is Some Information about But Bhavani Ma Temple Arnej Near Ganesh Temple Ganpatpura Ahmedabad District Gujarat India. Arnej village of Rajasthan form currently ganjan pahadapuri bansi pink stone paththar manthi newly sikhara created temple is taking shape. This newly Mataji temple for the first time both sides will establish ganeshji and hanuman philosophical idol. Arnej this sakti pitha temple, pilgrims - devoted to the two-time Prasad and families away from the Pilgrims bathing, washing, stay in the facility to provide two large hall and more than 30 different - different rooms of the facility was available. 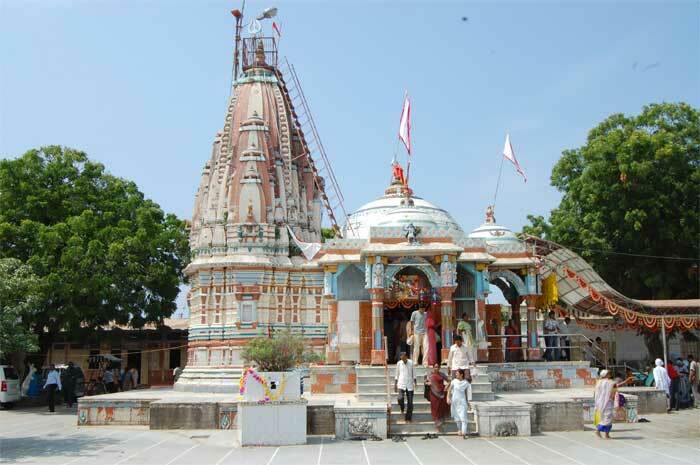 By Air : The Nearest Airport is Sardar Patel International Airport Ahmadabad just 60 Km of But Bhavani temple Arnej. By Rail: The Nearest Railway station is Arnej and big station is Ahmadabad Railway station. By Road: There many public and private vehicles available to reach But Bhavani temple Arnej. Here is Some Information about Adinath Jain Temple Ayodhyapuram Tirth Near Bhavnagar Gujarat India. 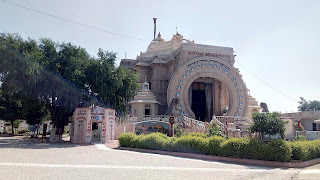 Adinath Jain Temple is located at Navagam Ayodhyapuram just 8 Km of Vallabhipur Near Bhavnagar Gujarat.The temple was built about 50 year ago and built under the inspiration of Panyas Pravar spiritual head Sri Abhaysagarji Maharaj Saheb.The temple is dedicated to Lord Rishabh Dev ,Lord Adinath. 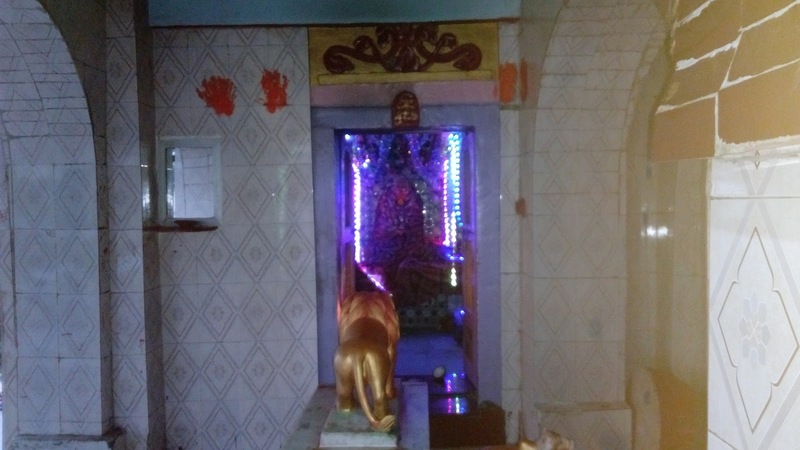 The temple of Shri Ayodhyapuram Teerth houses the idol of Bhagwan Rishabh Dev. 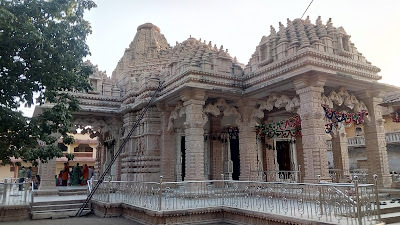 The Swetambara temple has been magnificently decorated with intricate artistic designs. The creative temple work boast about the skills of the craftsmen. The walls and pillars of the temple are adorned with specimens of ancient art. 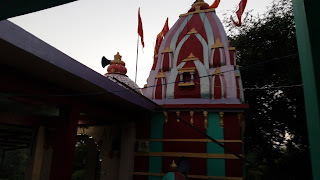 The Garbhagriha of the temple that houses the 23 feet big idol is very big. It is 28.5 feet wide and 55 feet tall. The temple is 169 feet long, 114 feet wide and 108 feet tall. A gaushala housing many cows can also be seen here. The idol of the Lord is 23 twenty three feet in height and is white in colour. 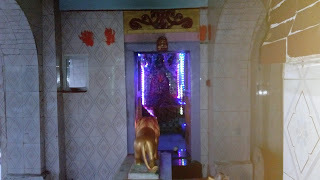 It is seated in a padmasana posture. The idol has been beautifully carved from a single stone and looks very appealing. The smiling face of the Lord looks very calm and serene. 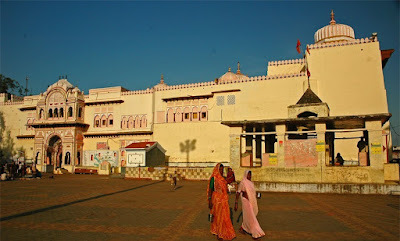 The Temple of Shri Ayodhyapuram Teerth organises many annual gatherings and functions. 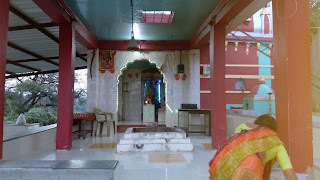 There are provisions for dharamshalas or rest houses for the pilgrims. These are well equipped with all modern facilities. Apart from this there are Upashrays, an Ayambilshala and a Jnanabhandar. The temple is enclosed by scenic beauty that mesmerises and fascinates the pilgrims. 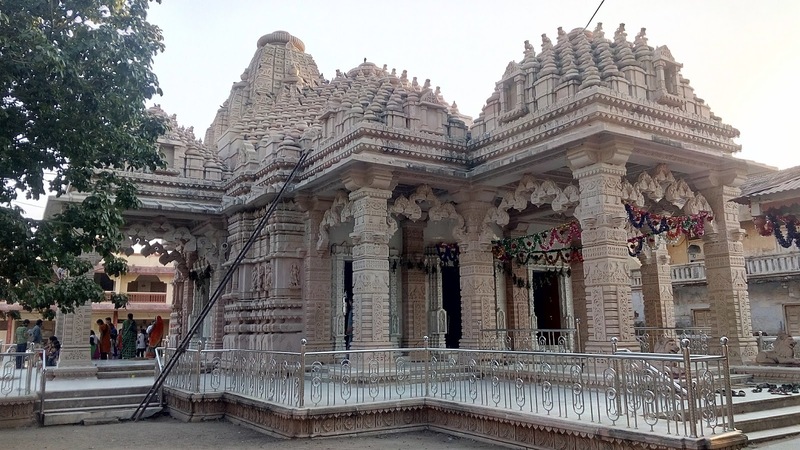 By Air: The Nearest Airport is Bhavnagar Airport just 45 Km of Adinath Jain Temple Ayodhyapuram. 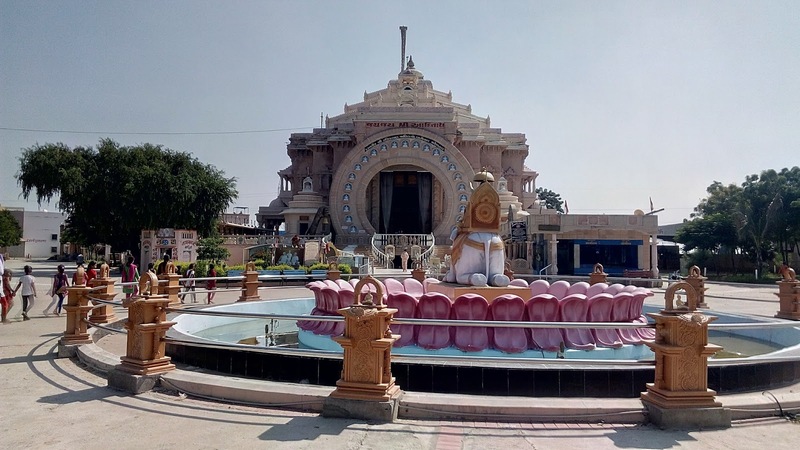 By Rail: The Nearest Railway station is Bhavnagar Railway station just 45 Km of Adinath Jain Temple Ayodhyapuram. 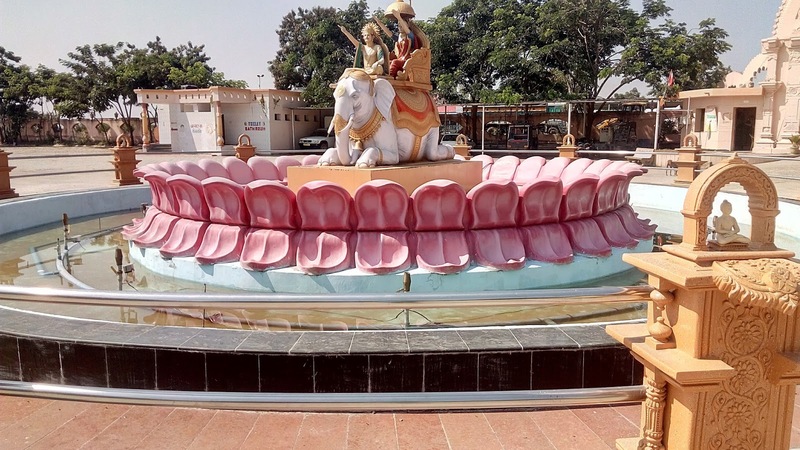 By Road: There are many public and private vehicles available to reach Adinath Jain Temple Ayodhyapuram. 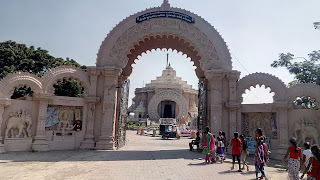 Here is Some Fact about Ambaji Temple in Rampura Kathana in Gujarat India. 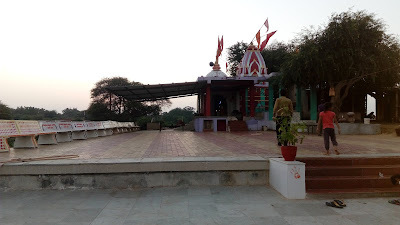 Ambaji Temple is located at Rampura Near Kathana -Ras Village of Anand District Gujarat India.The temple was built in around 700 years ago.This is very oldest temple of dedicated to Goddesh Ambaji.According to old people this temple is real Ambaji tempple.First Dwaja Rohan of this temple and after Main Ambaji Temple in ambaji during Bhadra Purnima Havan.In Bhadra month many Sangs first come here after go to Main Ambaji Temple.on Anant Chaudas(14th Day of Bhadra month) temple committee arrange Havan and Big fair.Many people around villages come here and blessing Goddess Ambaji and enjoy Fair.In this fair many large numbers of people take part.Many toy shopes and food shopes available here.Every Sunday people come here and take blessing Goddess. By Air: The Nearest Local Airport is Vadodra Airport(60 Km) and International Airport is Ahmedabad Airport(110 Km). 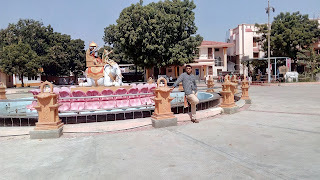 By Rail: The Nearest Railway station is Anand Railway station and Local is Kathana Station (5 Km) and other is Borsad and Vasad and Khambhat Railway station. By Road: There are many public and Private Vehicles available to reach Ambaji Temple.The Nearest Big village is Ras and Borsad city.You can easily reach via this city. 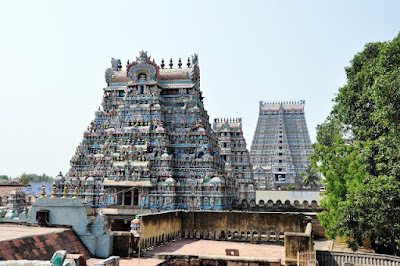 Here is Some fact about Jambukeshwara Temple in Thiruvanaikaval Tamil Nadu India. 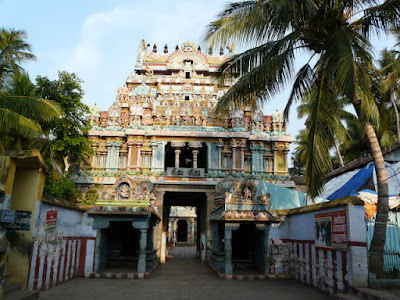 Jambukeshwara Temple is located at Bank of Kaveri river in Thiruvanaikaval Tamil Nadu.The temple was built around 11th to 12th century and built by Kocengannan, one of the Earlychola Kings.The temple is dedicated to Lord Shiva.The temple consists of five concentric walls which are a marvel of the architectural heritage of India.In this temple Goddess Parvathi in the form of Sri Akilandeswari worshiped Lord Shiva in the Jambu forest (Thiruvanaikoil) as part of her penance. 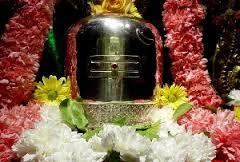 Under the Ven Naaval tree, She made a Shiva Linga from the water of river Cauvery and commenced her worship. 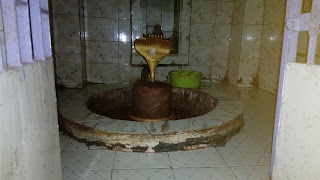 The Linga is known as Appu Linga. After a while, Lord Shiva gave darshan to Sri Akilandeswari and taught her Shiva gnanam. Sri Akilandeswari took lessons facing east from Lord Shiva, who stood facing west. 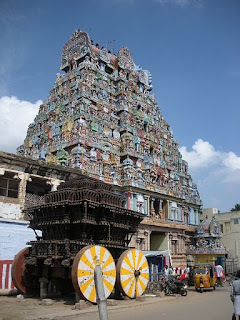 There are also seven Gopurams at the Jambukeshwara Temple, Trichy . 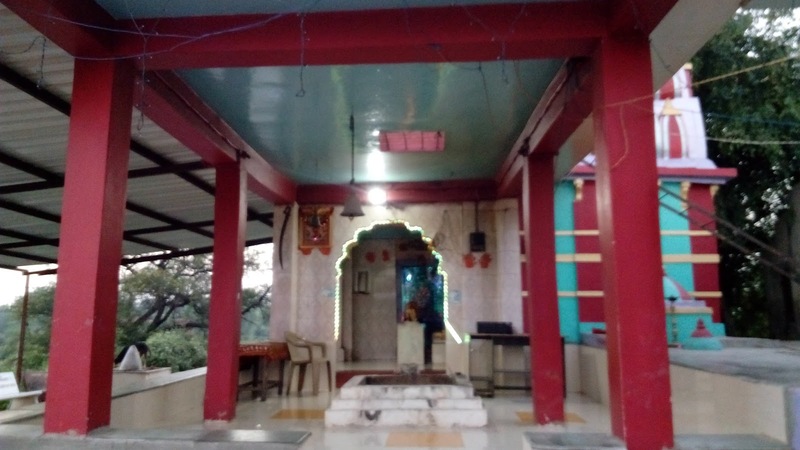 They increase the gusto of the temple and make it more captivating for the religiously inclined and the artistically minded.The temple is one of the five major Shiva Temples Panchabhoota Sthalam representing element of water. 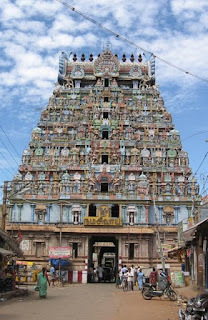 The remaining four Panchabhoota Sthala are the Ekambareshwar Temple in Kanchipuram (earth), Thillai Nataraja Temple in Chidambaram (sky), Thiruvannamalai Arunachaleswara Temple in Tiruvannamalai (fire) and Sri Kalahastheeswara temple in Kalahasti (wind). 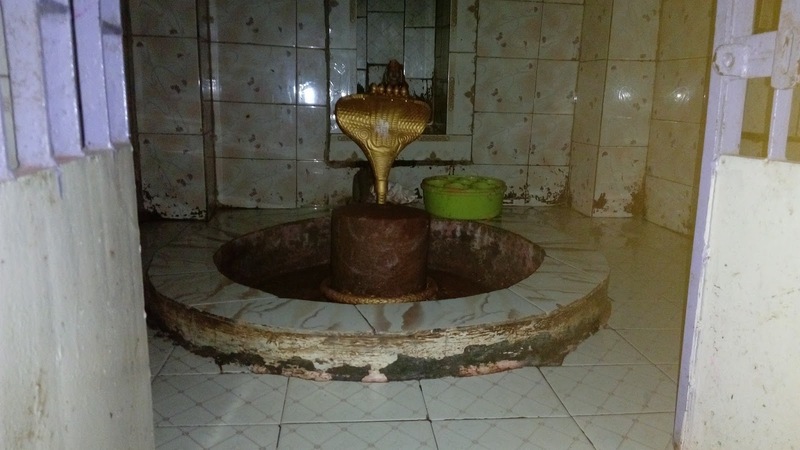 The sanctum, is the Shiva lingam in the form of Appu lingam (water lingam). According to legend, Parvathi, to conduct her penance in the form of Akilandeswari, made the lingam out of the water of river Kaveri. Inside the temple complex, there are 5 enclosures, called precincts and may not be immediately apparent to you so massive is the complex. The first massive outer wall you find your way, called Vibudi Prakara, is a mile long, 25 feet high and 2 feet thick and is said to have been built by Shiva with the help of his workers. The 4th precinct has a hall with 796 pillars and a small tank fed by springs. 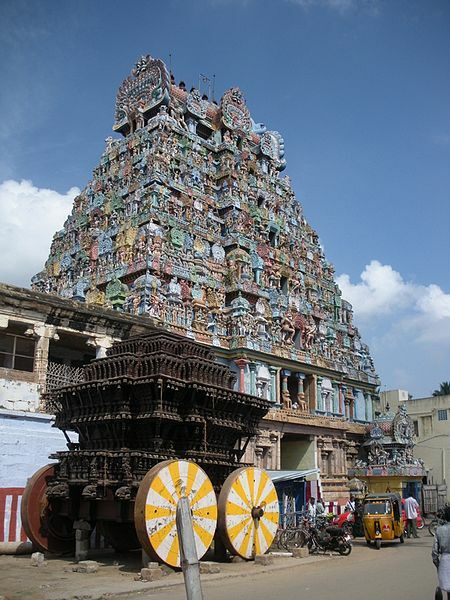 The 3rd precinct contains the 2 gopurams (gateway towers), one 73 feet tall and the other 100 feet tall. 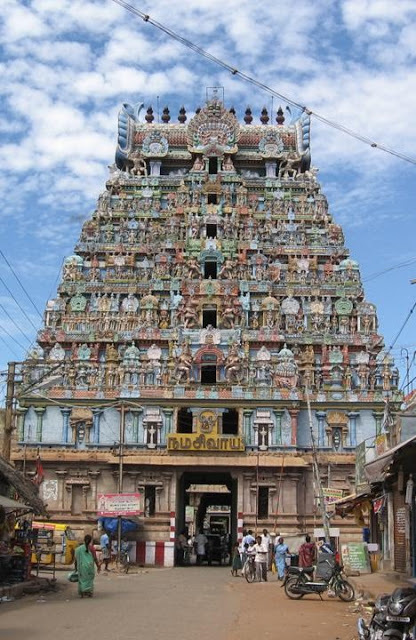 The 2nd precinct has another gopuram 65 feet high and several small shrines. 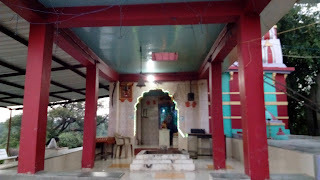 It is the last precinct where the sanctum with the Appu lingam is. The inscriptions and sculptures you see in the temple and the complex date back to the Chola era. The temple was built by king Kochengannan of Chola dynasty some 1800 years ago. 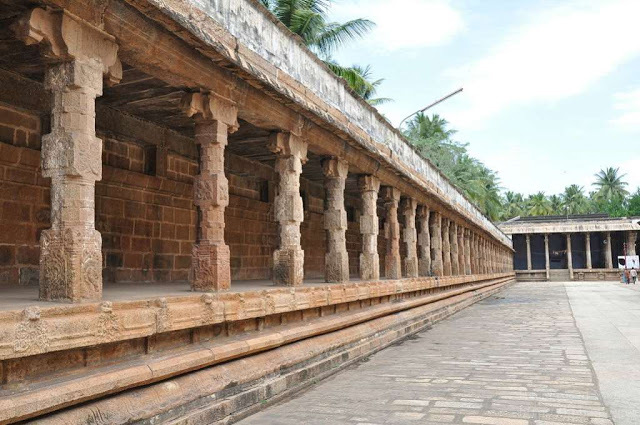 Years later, the temple was widely expanded by Someswara, the son of Vira Narasimha of Hoysala dynasty. During 1236-37 CE, he built a lot of shrines namely Vallaliswara, Padumalisvara, Vira Narasingeswara and Somleswara evidently named after his grandfather Ballalla II, grandmother Padmaladevei, father Vira Narasimha and aunt Somala Devi. The 7-tiered rajagopuram is also believed to have constructed by the Hoysala king. 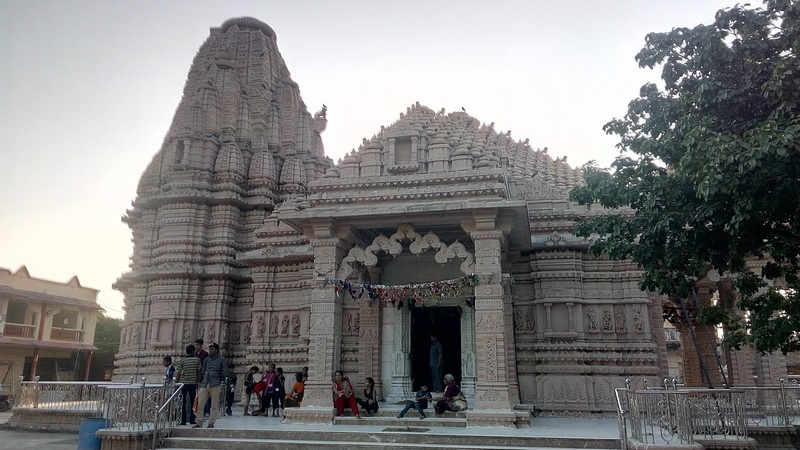 The second precinct of the temple with pillars was sculpted during the reign of Nayak dynasty. 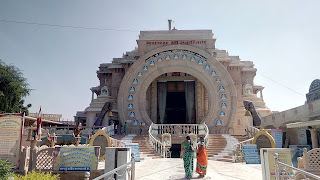 By Air: The Nearest airport is Trichy Airport which is 12km away from Jambukeswarar Temple. Bus and Taxi services are available to reach the temple.Other Nearest Airport is Chennai Airport. 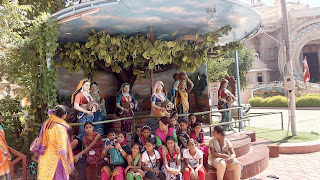 By Rail: The Nearest Railway station is Chennai and Madurai railway station. 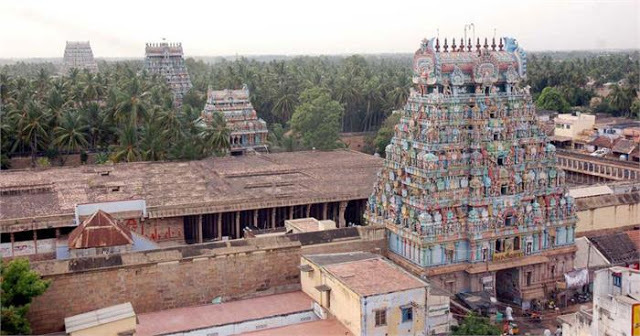 By Road: There are many public and Private vehicles available tp reach Jamnukeshwara Temple. 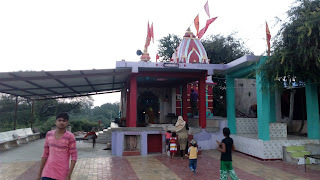 Here is Some Information about Ram Raja Temple Orcha Dham Mdhya Pradesh India. Ram Raja Temple is located at Bank of river Betwa in Orcha Dham Madhya Pradesh.The temple was built in 7th Century and built by.The temple is dedicated to Lord Rama.Ram Raja Mandir, a palace-turned-temple has a charming legend attached to it. 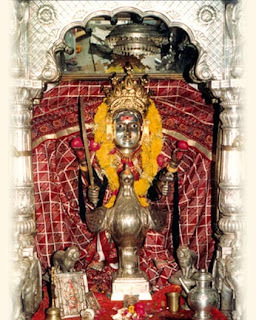 King Madhukar Shah brought an idol of Lord Rama from Ayodhya to his capital following the dream visitation of God Ram to be installed later in a temple. When the idol proved impossible to move, the king recalled, too late, the deity's edict that the image would remain in the place where it was first installed. 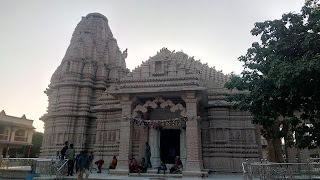 It is also the only temple in India where Ram is worshiped as a king. 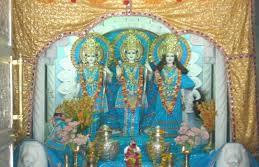 In the temple Raja Ram is accompanied by Sita (on the left), brother Laxman (on the right), Maharaj Sugreev and Narsingh Bhagwan (on the right). 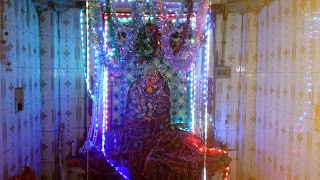 Durga Maa is also present in the darbaar on the right side. 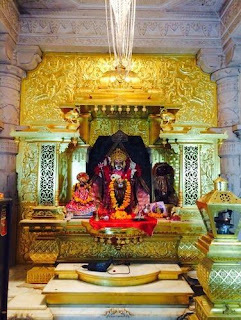 Hanumaan ji and Jamwant ji are praying just below Sita. The speciality of this temple is that Lord Ram has a sword in his right hand and a shield in the other. 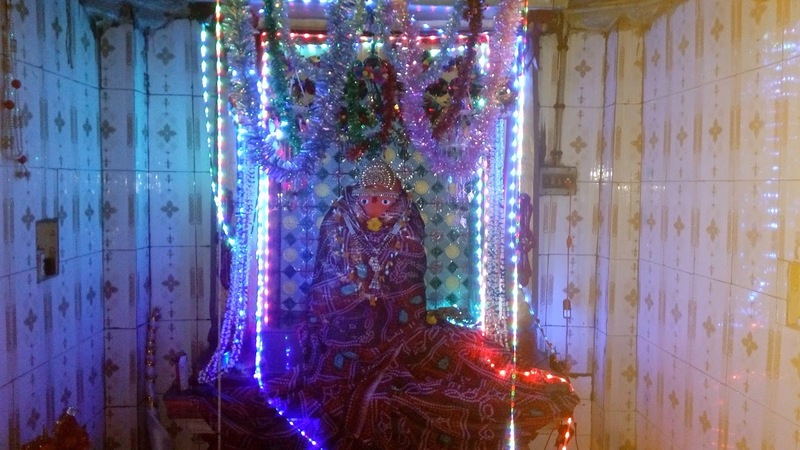 Shri Ram is sitting in Padmasan, with the left leg crossed over the right thigh. 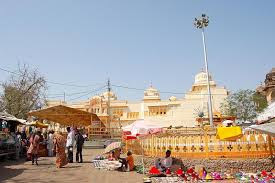 It is a sacred Hindu pilgrimage and receives devotees in large numbers regularly and is also commonly known as Orchha Temple. The annual domestic tourist number is around 650,000 and the foreign tourist number is around 25,000. The daily number of visitors to the temple range from 1500 to 3000 and on certain important Hindu festivals like the Makar Sankranti, Vasant Panchami, Shivratri, Ram Navami, Kartik Purnima and Vivaha Panchami the number of devotees who throng to Orchha range in thousands. 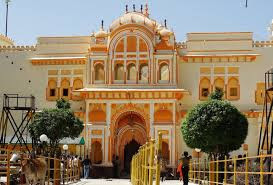 In India this is the only temple where Lord Ram is worshiped as a king and that too in a palace. A Guard of Honour is held everyday, police personnel have been designated as Guards at the temple, much in the manner of a king. The food and other amenities provided to the deity at the temple are a royal repast. Armed salutation is provided to Lord Ram every day. By Air: The Nearest Airport is Gwalior and Khajuraho Airport just 170 Km ans 126 Km of Ram Raja Temple Orcha Dham. 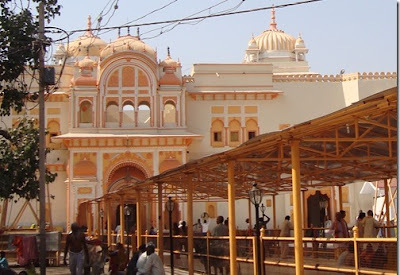 By Rail: The Nearest Railway station is Jansi Railway station just 16 km from Ram Raja Temple Orcha Dham. 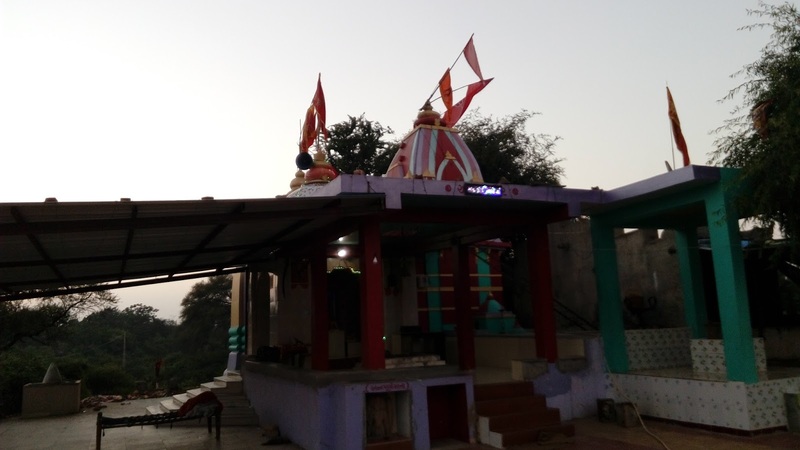 By Road : There are many public and private vehicles available to reach Ram Raja temple orcha Dham.